You want to get the most out of your chiropractic care. You want to enjoy the key benefits that come with a healthier spine and nerve system – but at the same time you don’t want to run into your chiropractor’s office on a weekly basis. Diversified chiropractic adjustment in the mid back. That means you either need to be a chiropractic miracle story – where you heal and hold your alignment on just a few visits – (and they do exist) or you need to take some responsibility for caring for yourself in between your chiropractic appointments. You may feel like you already do take care of yourself. And you probably do take care of yourself if you are the kind of person who gets your alignment checked by your chiropractor on a routine schedule. But there may be things you’re missing that could be slowing your progress to holding your alignment for weeks to even months at a time. The missing ingredients to chiropractic alignment? What are those missing ingredients to holding your alignment – what could they be? I’m building a list here at Life In Alignment…But there’s something we have to take care of first before we explore such a list. Not to get all professor-like – we have to define our terms. We have to understand what is meant by the words, “holding” and “alignment” in order to help ourselves do them better. It may not seem like much, but having the concepts clear will help us know what we’re trying to achieve as doctor and patient, and can even help you stay motivated as you work on holding your alignment. In order to hold your alignment longer, you have to get a sense of what “holding your alignment” means to most chiropractors. 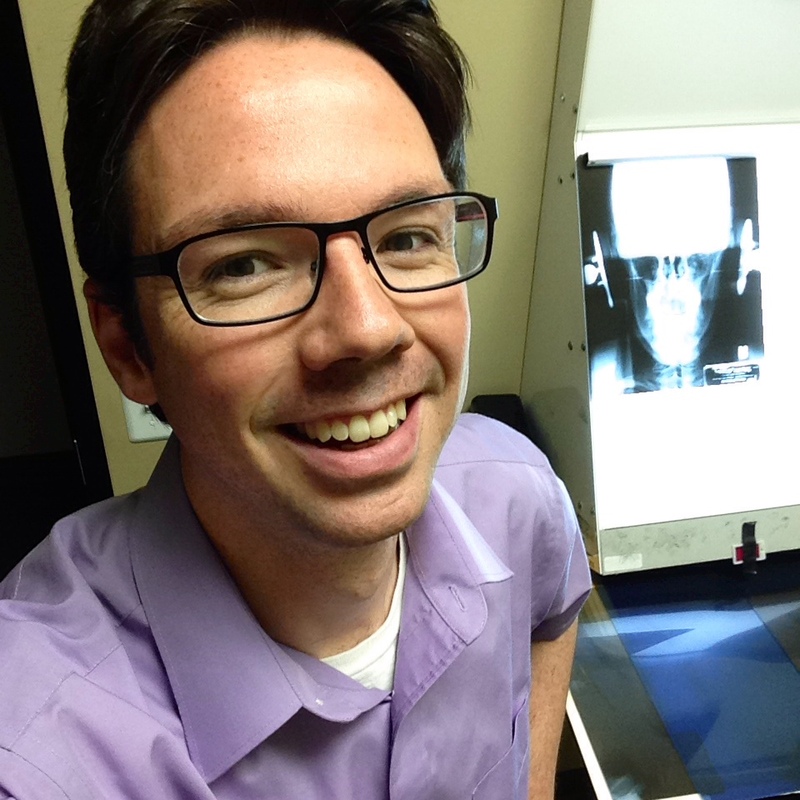 Are you here because you’re looking for an alignment chiropractor in the Metro Detroit Area? You can read my story (I’m the chiropractor who wrote this article, or send me an email via my office contact page) to learn if my practice is a good fit for your needs. Wondering if you made a mistake? Get a second opinion on your spinal care through email. Many chiropractors do therapies, but that’s not the same as the chiropractic adjustment. By law chiropractic is a profession, it’s not a technique. The profession has a lot of tools to use in patient care, ranging from nutritional testing to rehabilitation exercises. Because the chiropractic scope is larger than the chiropractic adjustment, the adjustment is not the only thing chiropractors do. The adjustment is the number one tool that many practices use. But it’s not the only one. In fact, there is a whole group of chiropractors who practice functional medicine, and holistic nutrition, and physical therapy modalities who rarely do any adjusting at all. Talking about holding alignment in a functional medicine chiropractor’s office may not make much sense. So, for the sake of all holding strategies, let’s assume that you’re receiving actual chiropractic adjustments in your spinal column. Measurement of alignment change at Life In Alignment. There are many different theories on how the spine works. There are many different theories on how impulses (in the form of adjustments) change how the spine is positioned and moves. There are chiropractors who don’t believe that lasting alignment changes are possible for many people. But most probably believe that any alignment changes are kind of like a icing on the cake, not the focus. There are three major types of chiropractic techniques that focused on other things than alignment. Mobility focused chiropractors often use adjusting and muscle release techniques. Let’s call group one the mobility docs. Mobility docs want you to have more mobility, flexibility, and range of motion in your spine. All good things to have – no doubt about that. But because they don’t think alignment changes much, they don’t measure before and after changes in your alignment or in your body posture. If you do get that change in posture, mobility docs love it. They are happy for you. But that’s not their main goal. Their main goal is more mobility and flexibility in the spine. If you go to a sports and performance chiropractor, many of these practices could be considered mobility docs. Here are a few other named adjusting techniques that place a major emphasis on mobility and joint motion and palpation. These techniques are listed as some of the most popular according to the American Chiropractic Association website. The mobility docs look at your spine like a chain of moving links that all must be moving in synchrony for your spine to be functioning properly. Again, if alignment improves, that’s great. But better alignment is not the focus – but rather is seen as a result of the spine moving properly. It’s a little distinction that’s important. Let’s call the second group the stimulation-response docs. Rather than looking at your spine like a chain of moving links, they look at your spine and brain like a computer that’s processing information that can be altered and re-organized to help your body function better. Chiropractic stimuli docs have a number of different named techniques. They may work to reconnect your body with your brain and stimulate the joints to active the brain. Or they may practice a technique that stimulates different parts of the spine in order to help your body process emotional and physical trauma. Or they may stimulate areas of the spine and body surface to test your body’s response to stress in order to uncover a disease process in an organ. Most of these techniques have a complex system of stimulation they put into the spine and other body parts to activate certain parts of the brain or nerve system. It’s about helping your brain and spine process information and integrate that information. Kind of like reprogramming software on your computer. You may not have a clear understanding of what these techniques do without first experiencing them – as they require more than restoring motion to a joint. Improving your brain response to your body and spinal column is a good thing. So is having balanced emotions. Or organ function. But again, because alignment isn’t the major focus, they don’t measure before and after changes in your alignment in your body posture. Instead they spend more time measuring functional or neurological responses. It’s not uncommon for the same chiropractor to use anywhere from one to five different techniques in order to best help you. So your chiropractor may not just be a mobility doctor, for example – but may do a combination of maneuvers. And some techniques are kind of like a mobility and stimulation hybrid. Here are a few popular chiropractic methods that use a combination of joint motion and stimulation-response to bring better balance to the spine – though not with the same definition as alignment chiropractors understand the term. This hybrid could be called tonal. Tonal techniques use a light impulse or touch in a certain sequence based on feedback from the patient’s body. Some if it looks like the stimulation-response techniques, but the emphasis is a little different. It’s less about “reprogramming your software” and more about allowing your hardware (bones, ligaments, tendons, muscles) to relax and come back into balance to work with the body’s natural software that’s already running. Tonal chiropractic uses light touches on the spine to balance muscles and joints. Does that mean that strategies for holding your alignment won’t help you? Not necessarily. Holding strategies will still help you a great deal. Just keep in mind if you go to the mobility doc, the stimulation-response doc, or the tonal doc, their definition of “holding alignment” may be a little bit different than the concept you are reading about here. There are many more techniques for understanding your spinal breakdown. But these three broad examples are good for showing that alignment has a different definition – even between chiropractors. Because chiropractic is a profession – not just a technique – the diversity of opinions and ways of taking care of people is natural – and has been part of the profession since the beginning over 100 years ago. Here is a page summarizing some of the most popular techniques as reported as way back in 2003, with a short description of each. So, let’s say you’re going to a chiropractor doing chiropractic adjustments. The doctor is also concerned about your global body alignment, especially in the upright position. You have an alignment chiropractor. It means your chiropractor recognizes that there is still an ideal kind of spinal posture that exists for most people. That ideal spine is one that stands as balanced as possible on two feet, with head sitting in the middle of the shoulders, and the upper body balanced over the lower body. The joints line up as much as possible. Everything rests upright, in as much of a straight of a line as possible. 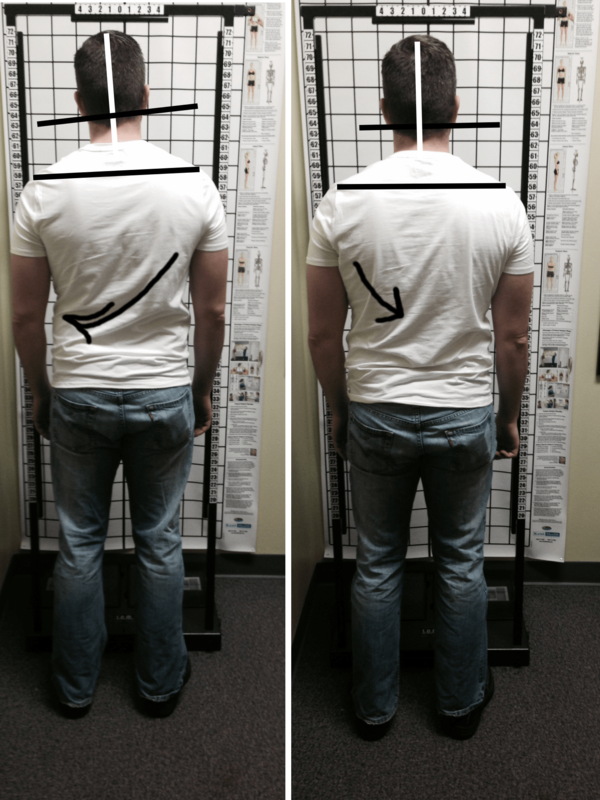 Before and after measurement at Life In Alignment Chiropractic. For most alignment chiropractors, this balanced position is seen as evidence you are holding your alignment. And this is important, because the longer you hold this alignment, the more likely you are going to go through a self-healing process that allows your symptoms to decrease. The simplest way to put it, is that there is balanced muscle and nerve system tone in the body, visible in your standing structure. Yes, there may be some variety for how this looks based on the individual patient. Not everyone has the same shape, or has had the same body and spine trauma. It’s definitely about seeing the change in the individual patient, from their before appearance to their after appearance. In addition to looking at your structure, many alignment chiropractors also include tests that look at your nerve system function, like the balance of your skin temperature, which is controlled by your nerve system. This is a test called paraspinal thermography. Some alignment chiropractors place thermography and your upright posture on equal footing on when deciding if you are holding your alignment. 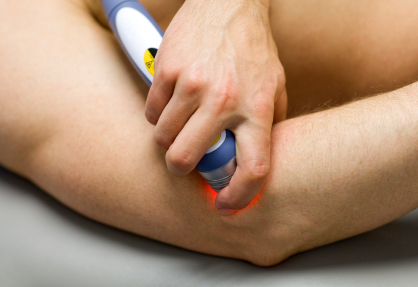 Some alignment chiropractors say thermography is more important of an indicator. And some say a stable, relaxed posture is most important. What are some common chiropractic techniques that focus on alignment? They can be divided into techniques that work at the top of the neck (upper cervical) and techniques that work on the entire spine (full spine). 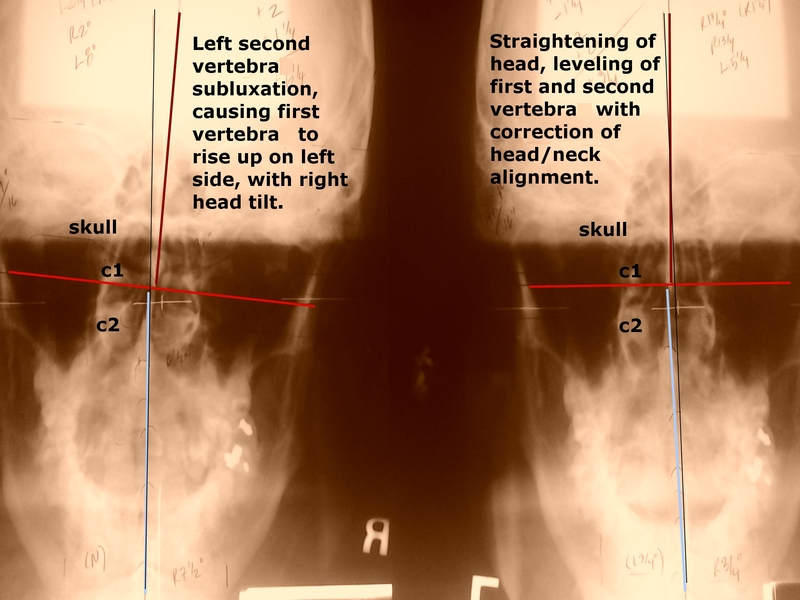 The following techniques use x-rays and/or postural assessment of your structure to adjust the very top of the neck, or upper cervical spine. Many of the alignment techniques below are very much like the tonal techniques above. But they will monitor your structure at nearly every visit in order to determine if you need a chiropractic adjustment (correction) or not. Of these techniques, NUCCA and Quantum Spinal Mechanics have developed an instrument for the measurement of upright posture, while others, use a grid and portable hip calipers to measure if the pelvis is level from visit to visit. Most of these also use joint palpation and measurement of leg length inequality. The following techniques use x-rays and/or postural assessment of your structure to adjust the full spine. They will monitor your structure at nearly every visit. What if I’m going to a mobility, or stimulation-response, or tonal chiropractor? Do they care about my alignment? Instead they may focus on feeling the motion of the joints of the spinal column. Or how your body responds to stimulation pressure in the muscles and joints. So, how do mobility chiropractors decide if you are holding your alignment? If you are maintaining increased range of motion in the spinal column and your symptoms are decreasing, then most mobility doctors would say that you are beginning to hold your alignment. And how would stimuli doctors decide if you are holding your alignment? This is a harder question to answer, and “holding alignment” may not even be a concept that works for some of these chiropractic technique systems. It really depends on how this kind of chiropractor is determining where to make a change in “stimulation” into your nerve system and why. And that can change depending on the technique. How do tonal chiropractors decide if you are holding your alignment? Each technique has its own primary “indicators” or things that go wrong. A body that does not show those indicators, or does not respond to a stress test might be said to be holding its alignment. How does your chiropractor define holding your alignment? 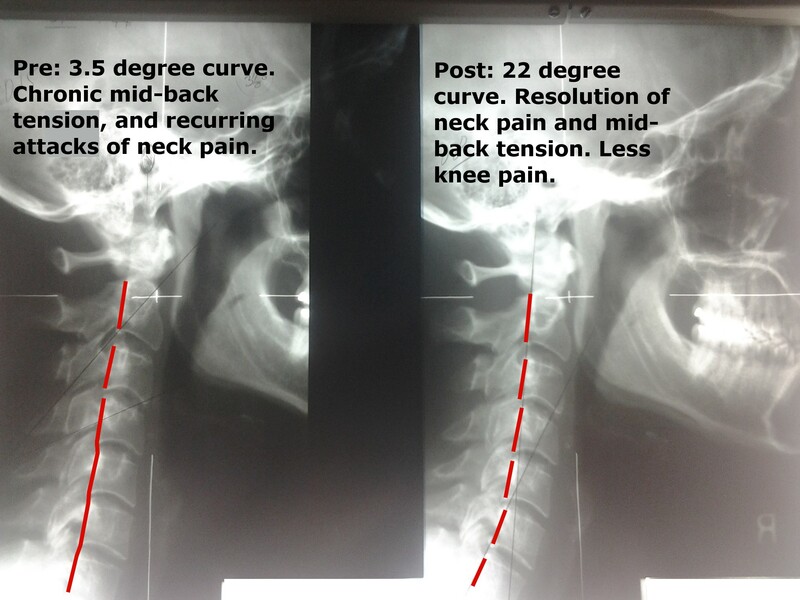 Changes in neck alignment after upper cervical chiropractic at Life In Alignment. How does your chiropractor define holding your alignment? This is a great question to ask your chiropractor if you’re looking for strategies to get the most out of your chiropractic care. As an alignment focused chiropractor, there are certain goals in structure I’m trying to achieve for all of my patients. I have a very clear definition of what holding alignment means, especially in the upper cervical spine. Because I’m an alignment focused chiropractor – what some people call a “structural chiropractor” – your care in my office is going to be different than in other offices as I always look at everything that I do from the perspective of “does this help my patient have an upright and open posture” with a balanced nervous system? Upright alignment is always a box I’m going to mentally check mark to make sure you’re making progress in your care. Asking your chiropractor about how they measure and evaluate alignment, or if his or her technique is more mobility focused, stimulation-response focused, or tonally focused is also a great way to learn how your chiropractor’s technique is actually helping you. It is a great introduction to learn what objective measures your doctor uses to map your progress. It’s the start of you helping yourself to hold your own alignment.